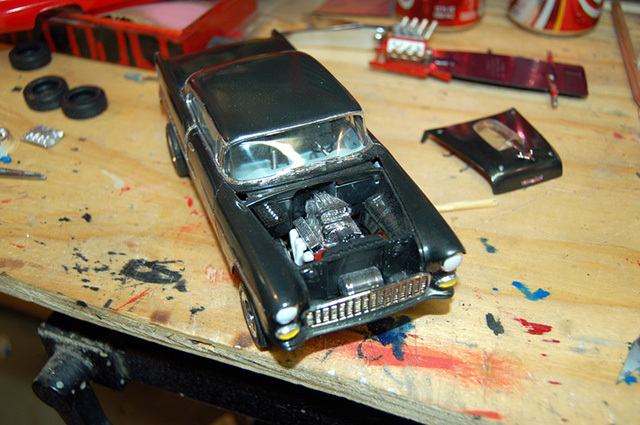 This was a reissue of a kit that I built back when I was 10, Monogram's 1955 Chevy Street Machine. 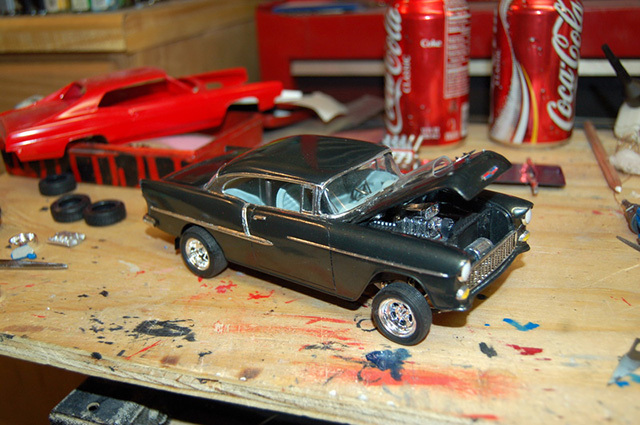 Painted with Testor's Model Master Graphite Gray Metallic. 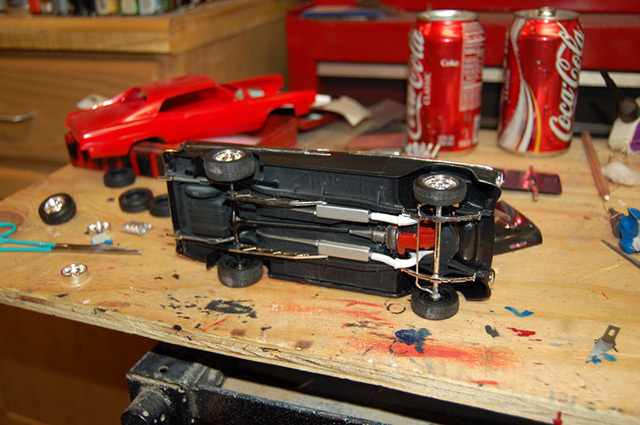 Model was built box stock, except for the added plug wires.